An absolute GEM! 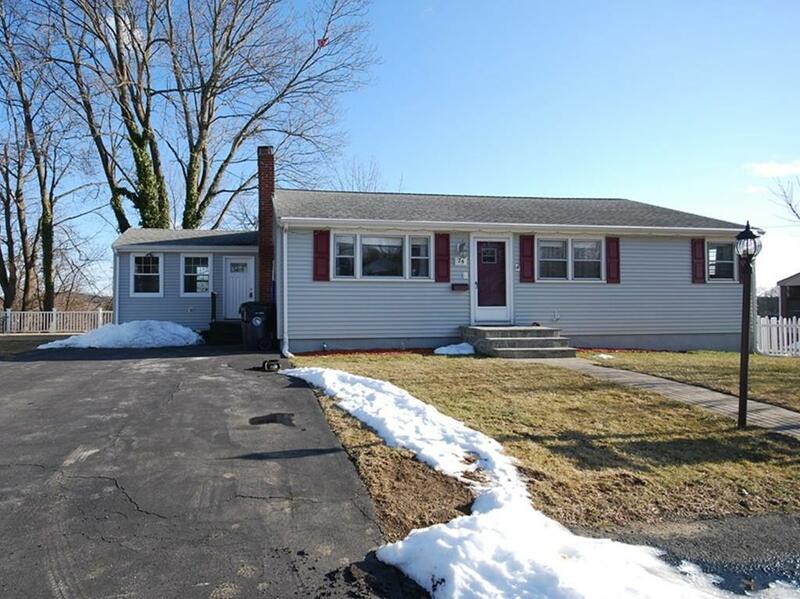 Completely renovated and improved 3 bedroom, 1 1/2 bath, full basement ranch in conveniently located neighborhood. Gorgeous kitchen (2016) with granite counters, stainless steel appliances, and 12x24 gray tile flr. Dining area with slider to deck. The Living Rm boasts a wood-burning fireplace, hardwood floor and picture window. Side entry to Family Rm, set apart from the Kitchen/Dining Area, by french doors. Tiled Full Bath (2011) with glass accents, linen closet and rainfall showerhead. Three bedrooms all with hardwood floors. Crown moldings and six-panel interior doors. Updated plumbing and electricals. Central A/C on main and lower levels. Finished lower level with Play Rm for the kids and Game Rm with wet bar and seating bar for the adults. New lower level Half Bath. Front and side paver patios, deck and play structure for outside enjoyment. Exterior lighting. Roof & white Vinyl Siding (2006). The side & back yards are enclosed. Move in and enjoy!